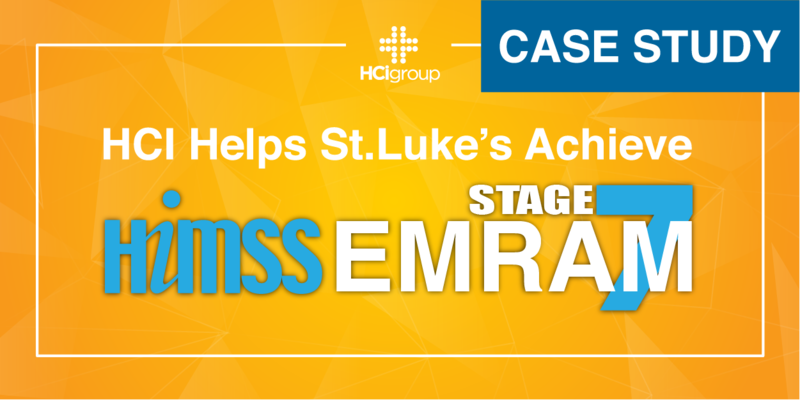 The HCI Group successfully supported St. Luke's University Health Network, headquartered in Pennsylvania, as it achieved the HIMSS Analytics EMRAM Stage 7 Award. With HCI’s help, St. Luke’s successfully achieved Stage 7 status at all 7 of their hospitals by June of 2017, including the first hospital to achieve Stage 7 status in the state of New Jersey. This post is a preview of a Case Study on how The HCI Group supported St. Luke's University Health Network as it achieved HIMSS EMRAM Stage 7 Status. Click here to access the full case study. Recognition of St. Luke’s as a recipient of the HIMSS Analytics EMRAM Stage 7 Award quantifies their recent progress in the adoption of technology to enable care delivery. Building on prior recognition at Stage 6, St Luke’s continues to demonstrate their commitment to excellence in quality and safety of care delivery. “We partnered with The HCI Group to expedite our journey to Stage 7. By utilizing the best practices that Stage 7 represents, St. Luke’s will be able to provide a safer, higher-quality environment for its patients,” said Chad Brisendine, Chief Information Officer. Schedule Time to Speak with Our HIMSS Analytics EMRAM Team by filling out the form below.